The HCG Institute furnishes the medical consultation only. Any resulting prescription from this medical service will be sent to a 503B Compounding pharmacy in the USA which will ship everything directly to your door. Injections which help catalyze the breakdown of fat during metabolism in the body. You must be a current patient to access this product. To become one please fill out the Medical Intake Form for a wellness consultation. 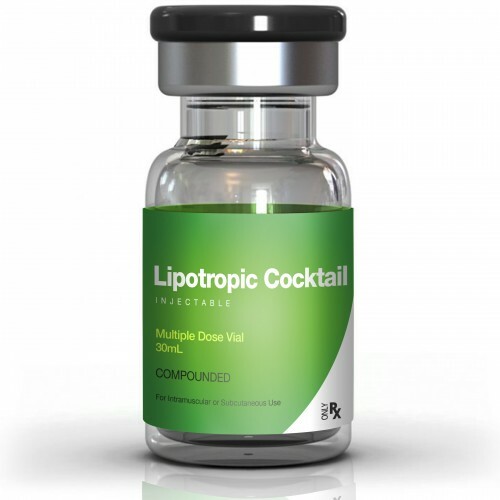 Required by your body to transport fatty acids, break down lipids and plays a vital role in metabolic functions, L-Carnitine is an important amino acid that when combined with essential B Vitamins and Folic Acid makes up the Lipotropic Injections and B12. Designed to boost weight loss by increasing energy and promoting your body’s natural fat burning machinery to emulsify cholesterol and detoxify your liver resulting in improved performance and healthier living. Added B vitamins give you extra energy and metabolic function for healthy living.